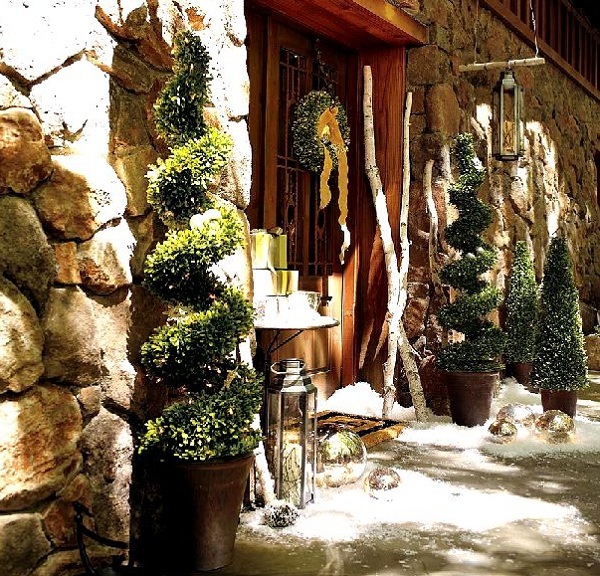 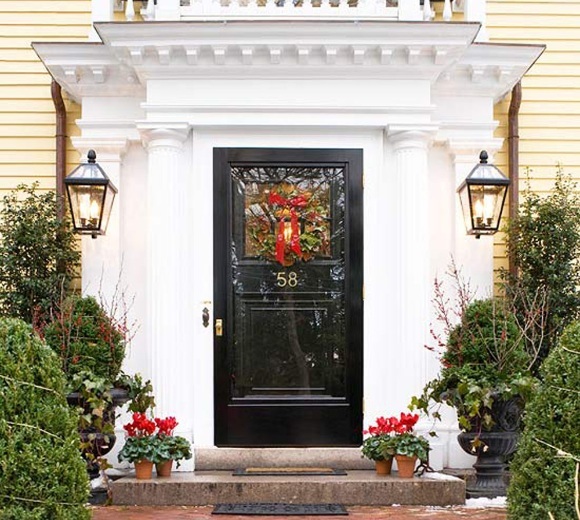 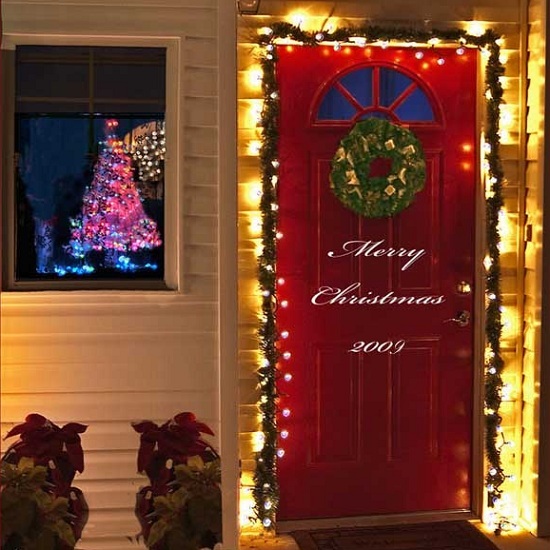 Enhance your home this season with Christmas door decorations by put a simple Christmas ornaments at your front doors. 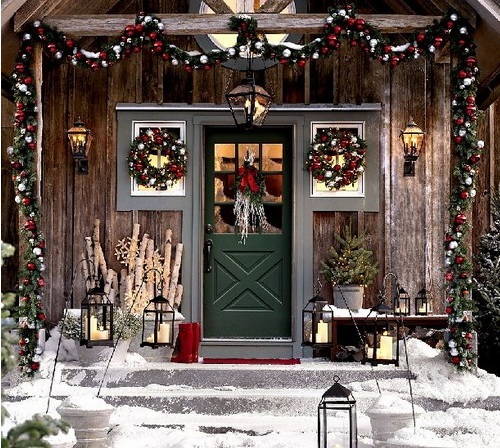 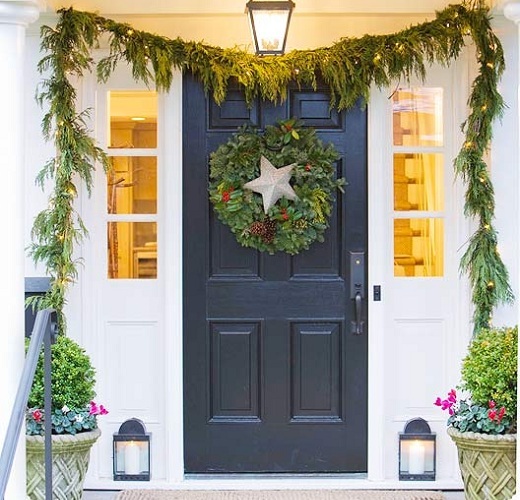 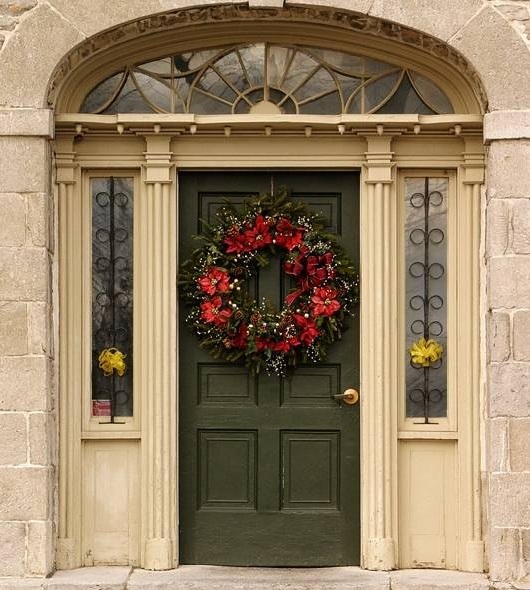 Christmas wreath, Christmas lights around your front door, hang a holiday message, roses, pinecones, ribbon, spoons or Christmas stocking are a traditional way but also could be the perfect way to make a unique door statement and welcome holiday guests into your home. 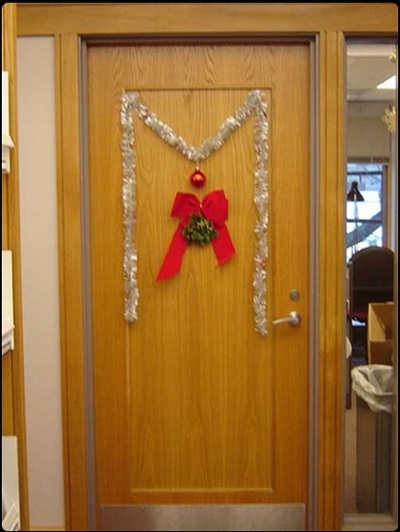 You can create your own christmas door ornaments with yor family and make perfect accents by scrap materials from home such as cardboard, paper, twigs or flowers from your garden, combine with some extra glow of colorful LED lights to frame the door. 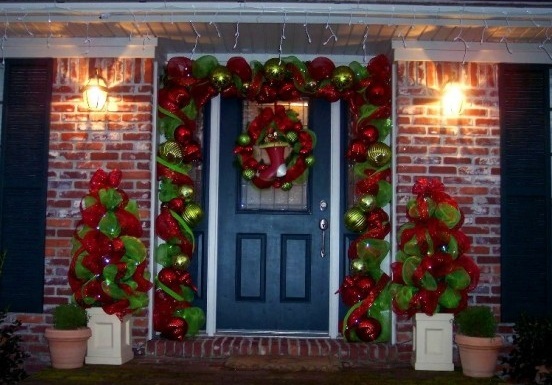 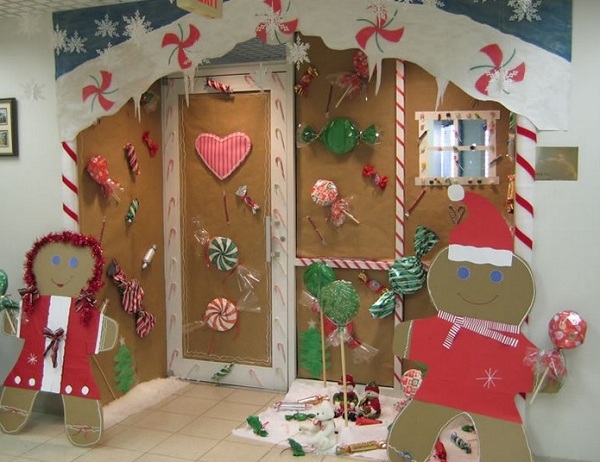 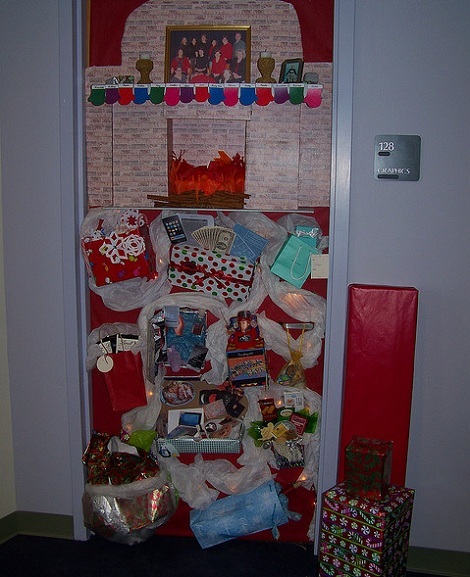 Check out our Christmas door decorating ideas, inspiration for your front door decorations this Christmas.